High Q Industrial Access (“High Q”) specialises in providing multi-disciplined rope access project services to a wide range of industries in Australia. The company provides its clients access solutions for areas that cannot be reached through normal methods or for where it would prove uneconomical to do so using conventional access. Efficient flexible and above all safe, rope access has contributed significantly to solving high, difficult access problems across Australia and the world for many years. All High Q’s multi-skilled workforce are able to abseil and climb, and are trained and periodically recertified to Industrial Rope Access Trade Association (IRATA) guidelines, and the Australasian Industrial Rope Access Standard. Using rope access techniques, High Q tradesman are able to carry out a wide variety of tasks on high and difficult access structures safely, efficiently and at reduced cost. stacks in power plants and manufacturing facilities. foot chimney was manageable it was an onerous undertaking due to the physical dimensions of the equipment. 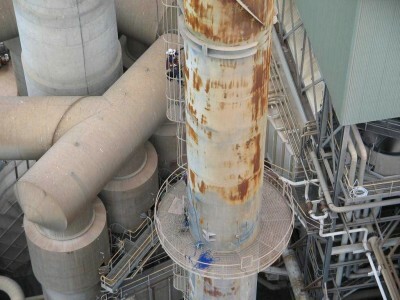 The limitations of this method were highlighted when the company was recently tasked to do an inspection of two chimney stacks at a sugar mill. Although one chimney stack was in good condition, the interior of the other was deemed unsafe for manned entry. The company realised that it needed a lightweight video communications solution for the operation. Peter Wood, the company’s operations director, Google searched the internet for a wireless video solution which would allow them to do a remote visual inspection and found Momentum’s m-View system. After comparing it with other systems it was concluded that m-View was the superior, cost effective solution for the company. Momentum’s multi-award winning m-View wireless video pack transforms a wide variety of standard video cameras into wireless video streaming systems, providing an instant, mobile connection between the video camera and computer. 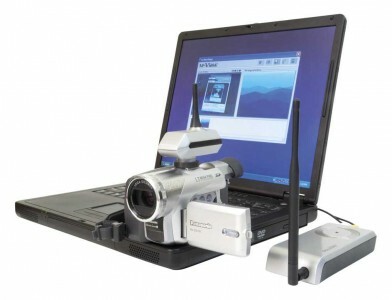 An m-View transmitter attached to a video camera enabled High Q to view and save video directly onto a laptop via a wireless link, making it immediately available for the High Q staff to view and record. The installation of this technology enabled High Q’s inspection team to lower a lightweight, unmanned unit with the camera into the chimney. 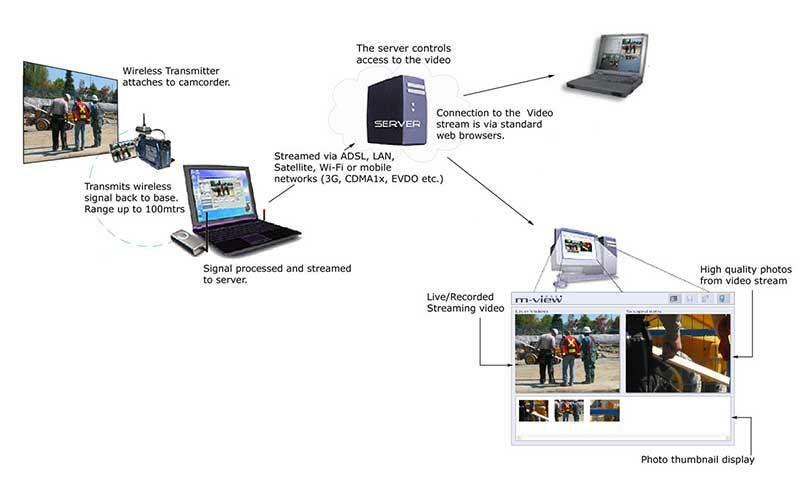 The camera streamed live video footage wirelessly to the m-View receiver attached to a laptop, which was then viewed by the inspector through m-View software. Specific camera shots, angles or stills could also be taken, allowing a complete and accurate overview of the structure. The company found m-View to be an effective, portable, lightweight solution while making use of its existing video equipment. They were able to bring the camera and the laptop up 70 metres to the top of the chimney quite easily, view live video footage while at the same time record the video for client records. The company also foresees future inspections to be securely streamed live to the company’s offices through the internet. 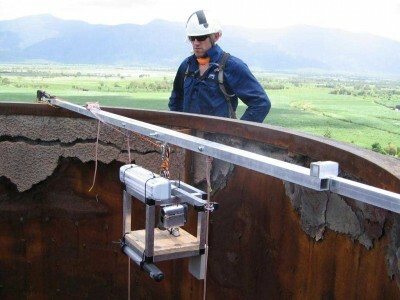 The system provided a world-first in mobile, wireless rope access inspections, and a unique solution that delivers real benefits to High Q.
m-View is Momentum’s flagship product, a fully integrated hardware and software solution that converts a standard video camera into a wireless video streaming system. the receiver, which is attached to a computer. The software captures the video which can then be viewed live on the computer, while at the same time stored for later viewing. fixed broadband connection or a wireless broadband network for complete mobility and coverage. desires to consult ‘realtime’ with the head office for assistance or advice concerning a particular issue, or to visually show a problem at the site.